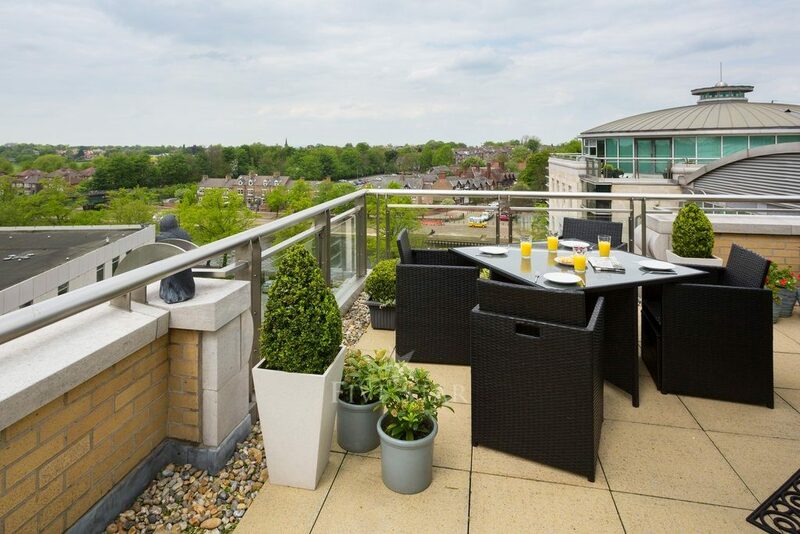 611 Westgate is a stylish, modern and spacious penthouse apartment ideally located in the heart of York with pretty views over the river. 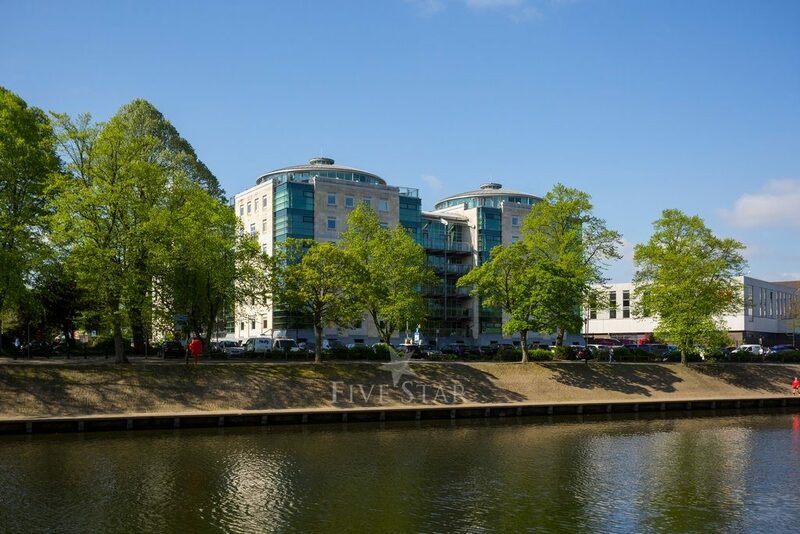 With the tr..
611 Westgate is a stylish, modern and spacious penthouse apartment ideally located in the heart of York with pretty views over the river. 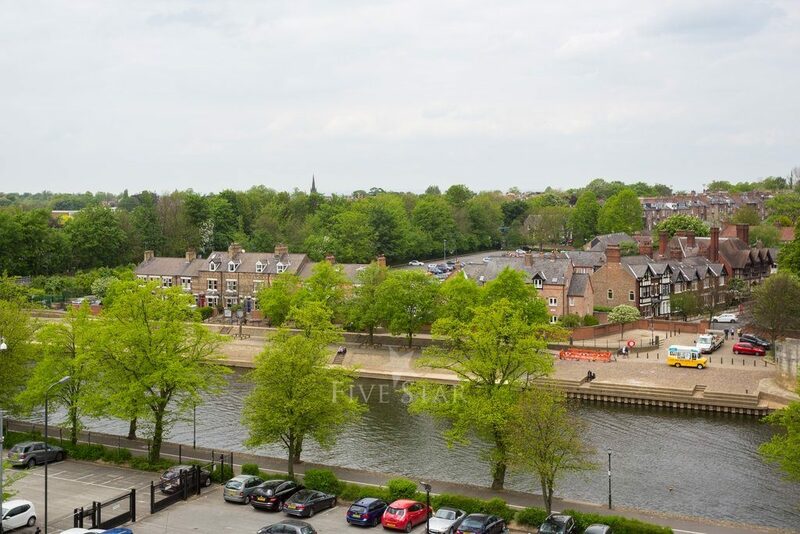 With the train station, shops and historic buildings of the city all just a few steps from your front door, there really will be something for everyone. 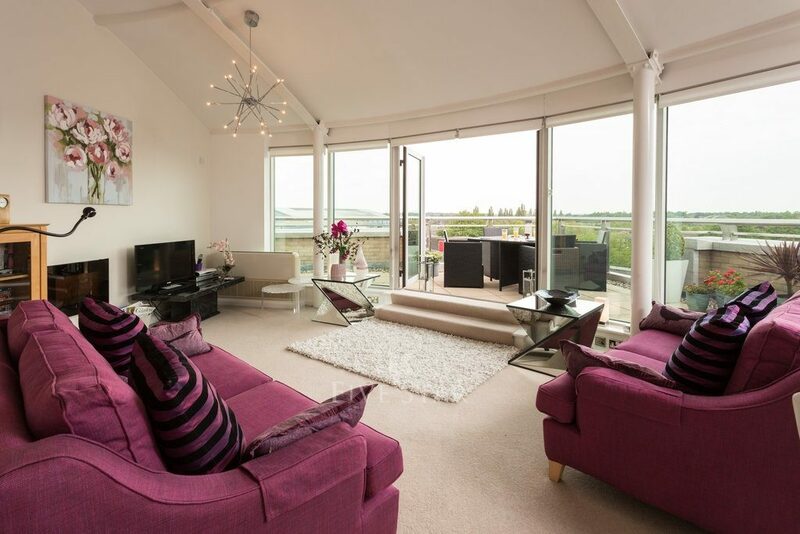 Open plan with living and dining area located on the upper level. Breakfast bar with seating for four. Well equipped featuring a large electric oven with hob, grill and microwave. Tall fridge/freezer, dishwasher and washing machine. Open plan with living area and kitchen located on the upper level. Circular glass dining table and four chairs. 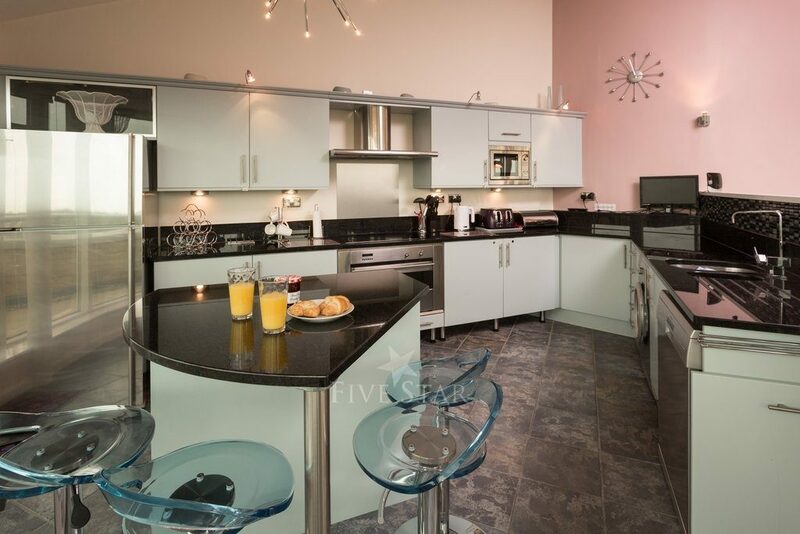 Open plan with dining area and kitchen located on the upper level. 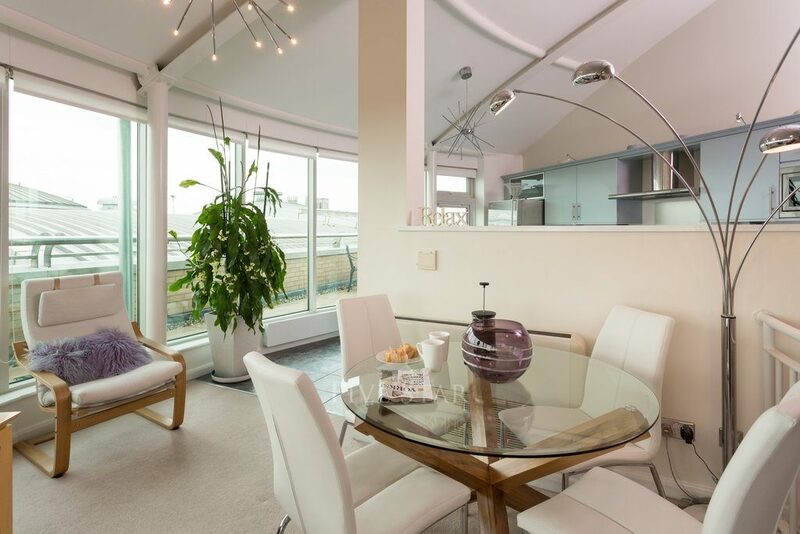 Modern furnishings with fifty feet of feature curved floor to ceiling windows. Two sofas. Electric fireplace and modern lighting. Sony Flatscreen TV with Sky and separate DVD player. 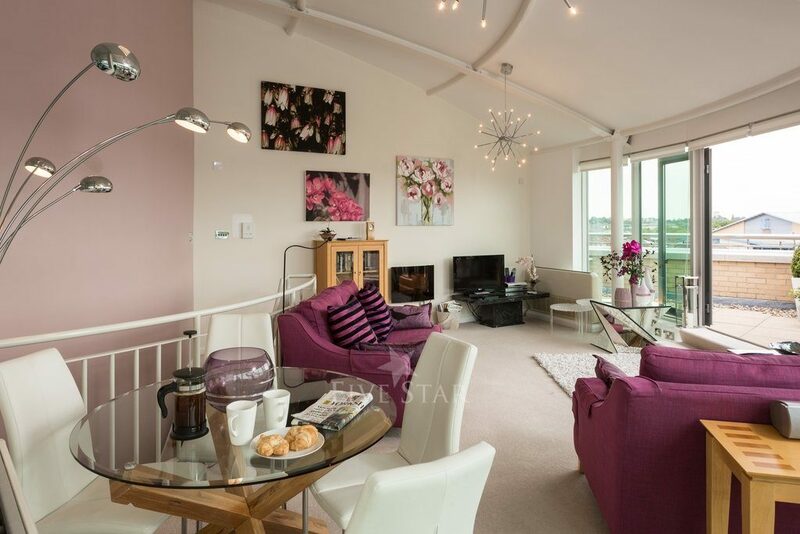 Located on the lower level with views over the river. King size bed. Fitted large mirrored wardrobes and a chest of drawers. En suite shower room. Located on the lower level. Twin beds. Fitted large mirrored wardrobes, dressing table and chest of drawers. Located on the lower level. Bath with shower over, wash basin and WC. En suite to master bedroom. Walk in double shower cubicle, wash basin and WC. 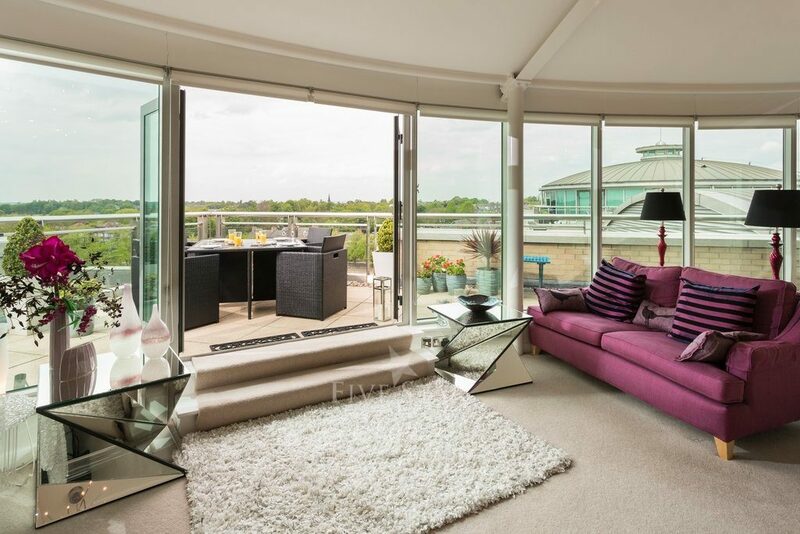 Large private terrace with sunshine all day. Terrace table with seating for four plus breakfast table. Lift access from ground floor to apartment, one flight of internal stairs inside the apartment. Secure gated parking for one car with lift access in the basement. Thank you for sharing your stay experience at The Penthouse 611 Westgate. We will publish it as soon as possible.